Walter Garber (Denzel Washington) is a New York City subway dispatcher whose ordinary day is thrown into chaos by an audacious crime: the hijacking of a subway train. 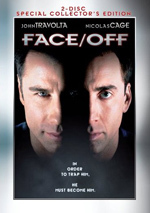 Ryder (John Travolta), the criminal mastermind behind the hijacking and leader of a highly-armed gang of four, threatens to execute the train's passengers unless a large ransom is paid within one hour. As the tension mounts beneath his feet, Garber employs his vast knowledge of the subway system in a battle to outwit Ryder and save the hostages. But there's one riddle Garber can't solve: even if the thieves get the money, how can they possibly escape? $23.373 million on -unknown- screens. Movie remakes tend to work best when they rework mediocre/bad flicks. When filmmakers tend on good films, their jobs become more challenging. After all, it seems somewhat pointless to remake a movie that’s already very good. Into that particular breach stepped director Tony Scott when he remade 1974’s The Taking of Pelham 1 2 3. 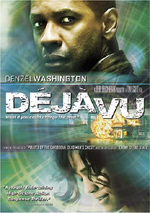 On one particular morning, subway dispatcher Walter Garber (Denzel Washington) faces an unusual challenge. He gets a call from some dude who simply calls himself “Ryder” (John Travolta). Ryder claims that he’s taken a subway car full of hostages and demands a whopping 10 million bucks or he’ll start to off passengers. Not exactly patient, Ryder give Walter and the authorities only an hour to meet his demands. When Walter’s bosses attempt to take over the negotiations, but Ryder insists that he stays in touch with Walter. Thus starts a race against the clock in which Walter and the others try to keep passengers alive all while we learn more about the mysterious Ryder as well as Walter’s own murky past. Full disclosure: I never saw the original Pelham. Because of that, some fans may automatically dismiss my thoughts about the remake. Obviously I can’t compare the two, so this review will include no notes that declare one to be superior over the other. However, I can certainly judge the 2009 Pelham on its own merits. When viewed that way, I think it’s generally a success. Some factors make it a less rousing success than I’d like, though. Many view movies as a director’s medium, and I usually agree. However, sometimes a film boasts a strong enough cast and a good enough script to overcome the inadequacies of its director. Pelham is one of those flicks. “Inadequate” may be an overstatement, for Tony Scott certainly has many skills as a filmmaker. Unfortunately, he’s been enrolled in the Michael Bay School of Directors for too long, and his work suffers for this. We get the insufferable Ever-Spinning Camera typical of Bay’s flicks, and Scott can’t seem to stand to go more than a millisecond without a cut. Granted, Scott has always been a slick, visually-oriented director – the man made Top Gun, for God’s sake – but he’s become less able to tell a concrete story. The visuals should complement the story and not drive the action. Unfortunately, Scott prefers to let the flashy camerawork and edits run the show, and they become a distraction. Despite Scott’s shortcomings, I think Pelham works. Much of the credit goes to its two lead actors. Washington and Travolta barely appear on screen together, but they show great chemistry. Washington happily takes the backseat here, as his Walter is low-key but still dynamic enough to keep our interest. It’s not a showy role, but Washington makes Walter more three-dimensional than we expect for this kind of summer fare. On the other hand, Travolta goes for the gusto with his larger than life Ryder. 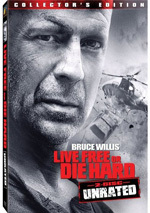 He chews the scenery – and everything else he can find – but he shows more life and verve than anytime since Face/Off. This isn’t Oscar-bait, but Travolta gives an underwritten part a sense of verve that shows movie star luster. Pelham does peter out toward the end, as the story starts to lose its sense of direction. Matters become more and more contrived as the flick goes out of its way to set up a meeting between Walter and Ryder. Yes, we want to see the two leads face to face at some point, but I think the writers could have come up with a less awkward method to bring about this encounter. Even with the annoying visuals and the plot problems, Pelham remains enjoyable. Sometimes the whole is more than the sum of its parts, and that happens here. Despite a mix of flaws, the actors carry it and make it good entertainment. The Taking of Pelham 1 2 3 appears in an aspect ratio of approximately 2.40:1 on this Blu-ray Disc. Across the board, this was an excellent transfer. Sharpness seemed immaculate. Given the movie’s loose “documentary-style” photography, some soft shots emerged, but those were obviously intentional. The vast majority of the flick was precise and well-defined. Jagged edges and moiré effects created no concerns, and no edge enhancement seemed to be evident. I noticed no signs of print flaws, as the image looked clean. Pelham presented a highly stylized palette. Much of the movie leaned toward a metallic blue tint, while the subway car tended to mix somewhat garish greens, reds and yellows. Above-ground sequences were on the cool side of natural. Rarely did the film offer tones that seemed “normal”, but the disc replicated them accurately, as its hues represented the flick’s design well. As for the dark elements, they were deep and dense. I thought blacks seemed nicely replicated and presented clear, taut textures. Low-light shots came across extremely well. They looked very well-defined and delineated and made the movie quite attractive. Pelham gave us a fine transfer. While not quite as impressive, I still liked the DTS-HD MA 5.1 soundtrack of Pelham. As I expect from an action picture, the soundfield offered a lot of activity throughout the film. Most of this came from various vehicles, as cars, motorcycles, subway trains, and helicopters filled out the room. The elements formed a fine sense of setting and immersed us in the action. Music showed good stereo presence as well, and even used the surrounds at times. The soundfield seemed broad and engaging. No issues with audio quality materialized. Speech was natural and concise, with no edginess or other concerns. Music sounded dynamic and full, while effects followed suit. Those elements were accurate and impressive, with crisp highs and rich lows. All in all, the audio proved to be very satisfying. We find a nice roster of extras on this Blu-ray. These start with two separate audio commentaries. The first comes from director Tony Scott. He provides a running, screen-specific piece that looks at adapting the original flick and how he got onto the project, story issues, research and influences, cast, characters and performances, sets and shooting in New York, cinematography and visual choices. Like his brother Ridley, Tony Scott offers commentaries that are consistently good. Scott proves to be frank and informative throughout his chat. He can be a little full of himself at times, but that’s not a major concern. Overall, the commentary works nicely. For the second commentary, we hear from writer Brian Helgeland and producer Todd Black. For their running, screen-specific discussion, they chat about their working relationship and the flick’s development, adapting the source material and other influences, story/character issues, working with cast and crew, sets and locations, and various anecdotes. Expect a very enjoyable discussion from Helgeland and Black. They boast a nice chemistry, and they offer quite a few good notes about the film. With a mix of facts and anecdotes, we learn a lot about the remake and have a fun time along the way. Four featurettes follow. No Time to Lose: The Making of The Taking of Pelham 1 2 3 runs 30 minutes, 25 seconds and includes comments from Scott, Helgeland, Black, associate producer Don Ferrarone, NYPD Hostage Negotiation Team commanding officer Lt. Jack Cambria, MTA New York City Transit Director of Film and Special Events Alberteen Anderson, production designer Chris Seagers, executive producer Barry Waldman, RTO supervisor Joseph Grodzinsky, train service supervisor Tony Annarumma, stunt coordinator Chuck Picerni, associate producer/1st AD John Wildermuth, and actors Denzel Washington, John Travolta, John Turturro, Victor Gojcaj, and Robert Vataj. “Lose” looks at the project’s development and the adaptation of the source material, story/character subjects, research and influences, sets and shooting in New York, cast and performances, stunts and action, and cinematography. Although a fair amount of this featurette’s information appears in the two commentaries, “Lose” still deserves a look. It includes copious amounts of footage from the set, and the inclusion of many other participants ensures a variety of different perspectives. While not packed with fresh details, the program adds to our understanding of the flick’s creation. Next comes the 16-minute and 15-second The Third Rail: New York Underground. It includes statements from Travolta, Anderson, Black, Grodzinsky, Washington, Wildermuth, Scott, Annarumma, Waldman, Seagers, Ferrarone, technical advisor Joe Jackson, third rail power Glenn Tortorella and actor Luis Guzman. The participants reflect on their experiences with the NYC subway, and we learn about their experiences shooting in that system. Once again, some redundant material appears, but the mix of behind the scenes footage and additional viewpoints makes it engaging. From the Top Down: Stylizing Character lasts five minutes, 17 seconds as it features Scott, and hairstylist Danny Moumdjian. The piece looks at the hairstyles of the lead actors. That’s an unusual choice for a featurette, but it proves reasonably interesting as it checks out an atypical subject. Finally, Marketing Pelham provides some ads. It includes two trailers and two TV spots for the flick. In addition, a few ads open the DVD. We get clips for Angels & Demons, Blu-ray Disc, and District 9. These also appear under Previews along with promos for Moon, Boondock Saints 2: All Saints Day, Blood: The Last Vampire, Black Dynamite, The Da Vinci Code, Casino Royale, and Year One. Finally, the set includes a Digital Copy of Pelham. It lets you slap the flick on your computer or portable viewing device. Great! On the surface, The Taking of Pelham 1 2 3 should flop; it tries too hard to be slick and flashy at the expense of concise storytelling. However, buoyed by its two leads, the movie keeps us engaged and entertained, and that’s good enough for me. The Blu-ray boasts excellent visuals, very nice audio, and a mix of supplements highlighted by two informative and engaging commentaries. I like the film and think the Blu-ray serves it well.